Microwave device to eliminate woodworm Professional and Restorer. We are pleased to present the solution to eliminate woodworm, drills, termites, larvae safely and 100% effectively. The microwave device is designed by company engineers Shashel of Ukraine, has European certification, registered trademark and is in the market of the year 2012. Since then the device has been modernized and improved to make the work lighter and achieve the goal of eliminating woodworm in a healthy, fast and total way. The housing is modernized both the microwave emitter and the motor body, providing more safety and lightness to the device. The most important improvement is that of the microwave antenna, processing technique made the device more efficient. HOW TO ELIMINATE WOODEN CARCASS? There are different types of xylophages that destroy wood. Any raw wood, dry, in the form of fiber boards, the impregnated (over time) and even the pulp processed on paper, is susceptible to a pest feeding on it and reproducing inside. The different varieties of woodworm and the dependence on a material as precious as wood raised the question of mankind how to get rid of woodworm. We will analyze the most common problems of woodworm in the home, such as woodworm on the walls of wooden houses, roof beams, floors, furniture, etc. THE CARCOMA IN WOODEN HOUSES. The popularity of wooden houses never falls. A house made of logs is a marvel that transports us to a children’s story, it is cozy, warm and with a fragrant soul. However, often this idyll is destroyed by woodworm. This plague is loading this story in a moment. Sometimes, the house is still unfinished, and it is already so infected that you have to change the walls already in the construction stage. The infection occurs in several ways. It often happens that the logs that are going to be used for a house have simply been stored, dried or processed in an inadequate way. In this way, the house begins to be constructed from wood already infected by woodworm. Therefore, you should never build from dead wood; It is almost 100% sure that this wood has woodworm. The drying of the wood must take place in special chambers with sufficient temperature to destroy woodworm larvae that already exist. Remember that even the presence of a wormhole in a trunk is a factor that makes it defective. Our state regulations on the timber business collect this data. Ideally, for rounded logs, is that the outer layer must be removed to the core, which is virtually inedible for woodworm. At other times, errors occur in construction. Insufficient hydroprotection in the base structure of the house, leads to the flooding of the trunks that form it, and we can assure you that an insect such as large woodworm will not hesitate to deposit its larvae there. Larger and stronger larvae will gnaw the wood until they eat it all. The same applies to latrines and bathrooms, where high humidity and insufficient ventilation will create the ideal conditions for woodworm. Often, wooden houses have fireplaces and it is dangerous, but not only because of the fire, but also because of the logs of firewood that we introduce in the house for its combustion. Old wood is an excellent carrier of woodworm. The larvae are not able to move, but in a warm room and after the pupa stage, being an imago insect, you can leave your larvae in the place of the house that pleases you. Therefore, never keep the firewood at home! It is better to keep it out. Do not forget the means of natural infestation of wooden houses. After all, adults of wood pests in search of food and shelter for their offspring can fly many kilometers. You can fly from the nearest forest, from a neighbor’s firewood, or from another wooden house. The gates of doors and windows are the first places of infection. It is important to know that one of the first signs of the presence of woodworm in your home is that there is dead wood on the window ledge. His life is extremely short and, in fact, is focused only on the quick laying of his eggs. Adult insects do not eat wood or move, but they place roe in the cracks of the wood or in holes of their old routes. If the house is inhabited and heated, usually the woodworm will be on the warmer internal side (in cold season), where it can develop throughout the year and therefore, it will not be unusual to find woodworm in winter in the home. This process is endless and you can not ignore it. That is why the owner of a wooden house must be well prepared to deal with woodworm. ¿HOW TO IDENTIFY A CARCOMA INFESTATION? There are direct and indirect signs of carcoma infestation. One of them, as we have already mentioned, is the presence of dead woodworm on the windowsills and on the floor. Another sign is to find wood dust on the ground near the walls or between the structures of the house. The holes in the wood trunks or holes in a zigzag shape, in which case, we should note how recent these holes are, are another symptom. And, the most obvious sign, although not obligatory, are the sounds of clearing, cracking, grinding on the walls. The woodworms are nocturnal insects and at night they are best heard. These places should be a priority in future extermination treatments. The company Shashel thus offers a line of microwave equipment for any case of infestation. The Shashel microwave emitter should be present in any wooden house to combat woodworm. Even in places with high humidity, the Shashel microwave device will eliminate woodworm as well. It will dry the wood until it reaches acceptable values. The device, of small dimensions, can cover a wide area of ​​treatment, which will result in an easy and fast procedure. For Shashel it does not matter where the woodworm originated, with putting in front of the contaminated sites the device will be sufficient, in a few minutes, there will not be any living rot in that space, and at the same time it will dry the fungi that originate the mold that Often, it is the environment in which other types of wood pests are generated. The woodworm will be destroyed instantly. It does not matter if the trunks are varnished or painted. Heat insulators such as polystyrene or mineral wool are radio-transparent materials and do not affect the quality of the treatment. Often, the corners of the kitchen are tiled, but this is not an obstacle to the microwave field, which will pass directly and destroy the woodworm directly from the wood. Here all kinds of plastics, glass, clay or ceramics, etc., should be included, none of them will be an obstacle for Shashel. In the same way, the electrical wiring is not a problem, since it will be sufficient to deactivate the current, with the exception that it enters the treatment area, that is, directly below the device. The depth of penetration of the microwave field varies depending on factors such as humidity, type of wood, and even the direction of the fibers and can reach 25 cm. How should we proceed if the trunks that make up the wooden house are large? There are rare and exceptional cases in which a bilateral treatment is necessary, because as we have said before, the woodworm does not eat the nucleus, so the 50-60 cm trunks are disinfected successfully. The Shashel device is distinguished by high quality industrial components, the microwave emitter is made of specialized alloys and correctly calculated for maximum efficiency. The design and ergonomics make this equipment easy and simple to use for any owner. When working in a wooden house it is not necessary to evict tenants or pets. The appliances will not suffer either. Only woodworm will be destroyed! It is not necessary to use toxic poisons, whose effectiveness is questionable. Your house will remain cozy, ecological and safe for your children and grandchildren. And the most important thing is that you can keep it for many years. HOW TO FINISH THE CARCOMA PRESENT IN THE SOIL. The installation of wooden floors can lead to an infestation by woodworm, which often happens. The battens, the deck, the stage or the parquet can be infected. It should be noted that the Italian parquet is also susceptible to infestation. Keep in mind that infestation by woodworm can occur both in the manufacturing phase of the slats and when using them. A low quality wood or an obsolete treatment of it (recommended every 3-5 years) with insect repellents is another factor that promotes infestation. Again, the humidity of the space under the ground or any error in the construction will propitiate both the production of mold and the infestation by woodworm, which will make life inside the house impossible. But do not panic, having the Shashel.net microwave device, this problem will be solved quickly and efficiently. It is not necessary to remove the floor, change the battens, or the parquet or parquet, which would involve a costly reform, as it would entail an inexpensive repair. In cases where the upper layer of the soil is not infected but the decking or tracing must be treated, Shashel.net can easily solve this problem. After all, the peculiarity of the microwave device is precisely its high penetration and selectivity in the process. Focusing the screen to the infected area, simply placing the device on the ground, will destroy all the woodworm that may be under the device (even under the ground). Again, the wood will dry, eliminating the environment that could lead to the development of mold or other wood pests, if any. In cases where the concrete base is alternated with an insulator and the only wood on top is parquet, the problem is solved in the same way, since polystyrene is a radiolucent material and is not an obstacle to US. The process is carried out in the same way in the spaces between plants, which possibly contain layers of wood. The woodworm will be destroyed quickly, without disassembly or costly repairs. The furniture is mostly made of wood, which also makes them prone to woodworm infestation. Here we will find different types of “woodworm furniture” and “beetle of the clock of death.” The English name “Deathwatch beetle” is given by the characteristic sound emitted by the larva roedora, which is like the tick of the clock, measuring the time until death. The plagues of furniture like dry wood, they leave very small holes and their larvae have a very long development period, up to 15 years. If you find signs of the possible presence of furniture decay, it is better not to wait to eliminate them, because the infestation easily spreads to other wooden objects in your home. These might be; other furniture, doors, window frames or parquet. The woodworm furniture eats the wood completely, leaving only dust. The infestation by the “woodworm furniture” can occur in a manner, both natural and acquired, by introducing furniture already infected. Often, this happens with furniture brought from China. This is how pests of wood are introduced that are not at all typical of our regions, which no longer matters once they are introduced into a warm room. Therefore, we not only acquire exotic and beautiful wood, but also the plagues of that wood, which can spoil and even destroy the furniture. There have been cases of infestation on dressers or kitchen furniture. The Italian agglomerate, apparently unattractive for woodworm, was infected by a woodworm pest. For these types of cases, the Shashel company has devices for restorers. It has a reduced and lighter microwave emitter that allows disinfection even in the most difficult cases. With this device you can treat antiques, icons, etc. A carefully dosed and precise microwave field will act effectively on the larvae of the woodworm, without altering the structure of the wood and without damaging the antiques. The nails or other metal accessories present in the furniture will not affect the treatment process or the device itself. In this way, the furniture will be preserved and the woodworm will be destroyed quickly. CARCOMA IN WOOD BEAMS AND ROOFTOPS. In Eastern Europe, low-rise buildings were gaining popularity after the fall of the USSR and the establishment of private property. Everyone wanted to have their own house and own it. The roofs of these houses are often made with a system of wooden beams, which is very attractive for woodworm. A warm space in the attic and wood in abundance create practically ideal conditions for woodworm all year round. So woodworm can become the new owner of the attic. However, this usually does not end well: the roof and beam system eventually lose strength, bend due to their own weight, integrity of the whole is lost and if this process is not detected and stopped in time, the roof will fall apart . 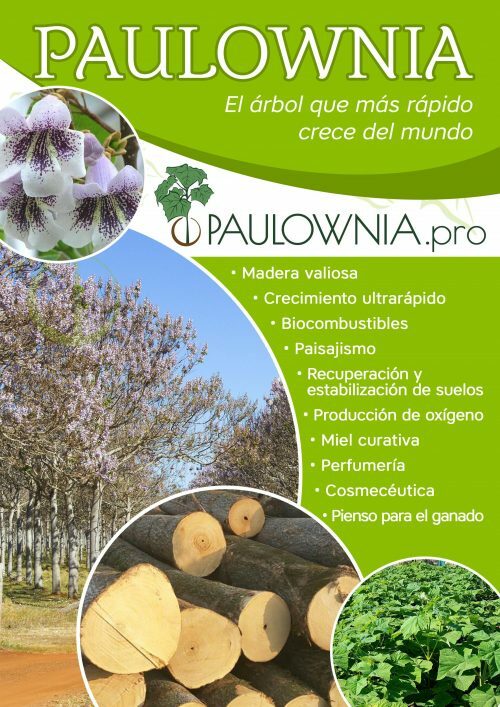 During construction, it is necessary to control the quality of the wood used, and treat it with fire preventive products and bio-defense products, which should be repeated every few years or the damage will be irreversible. Replacing the beams, like the entire roof, is an expensive process, which is best avoided. If you still detect an infection by woodworm, you must act immediately. For such situations, there is a SHASHEL microwave device, which will allow you to quickly destroy the woodworm. It is a system designed especially for the treatment, even in the most difficult conditions. In short, the company Shashel offers a comprehensive solution to fight against the xylophages. The device is designed to be used independently in your home. Its ease and simplicity of control will allow it to accelerate the process and, what is more important, it will be lethal to the xylophagous. 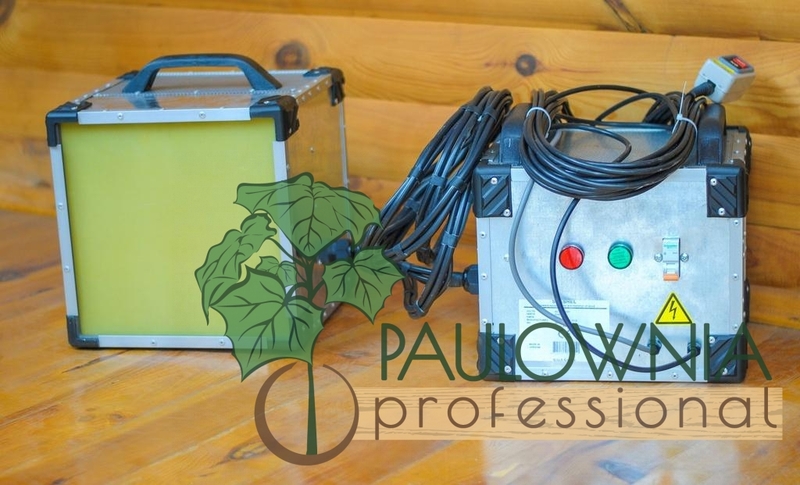 The microwave device guarantees the destruction of wood pests even in the most difficult cases, so in wooden houses, they should always be at hand.